It is estimated that there are over 2,000 grape varieties grown in Italy. It is no wonder that the ancients called this land Enotria, or “Land of Vines.” Many wine-lovers are attracted to this wealth of options, from charming, unoaked everyday wines sipped from tumblers, to “Classics” like Chianti and Barolo, to hyper-collectable cult wines that earn triple-digit prices and critics’ praise. We have 20 Italian winery partners in our portfolio. A few are brand new to Ontario and introduced below. I’ve highlighted a small selection of our wines here, but we have over 300 wines available at all times, many of which are in short supply or not available at LCBO stores. Spring is in the air, and that means it’s Vernaccia time! This is a light and fragrant white from Tuscany with a Chablis-like crispness to it. The quintessential patio wine. Vernaccia di San Gimignano is Tuscany’s only white wine DOCG (the top quality tier), and Falchini has long been regarded as its greatest producer. Brilliant light gold, it has subtle, complex aromas: Green pear, green apple, fresh herbs, and crushed quarry stone. It is dry and just barely medium-bodied. The acidity is bright and makes this wine incredibly refreshing. The finish is persistent and balanced, with a hint of almond. Looking for something new to chill and sip? I give this my highest recommendation. Interestingly, if you can stash away a few bottles for posterity, it ages surprisingly well for two to three years. I still think it’s best while young. Pio Cesare’s planting of Chardonnay in 1985 was groundbreaking (pardon the pun). At the time, almost no wineries in Piemonte were growing Chardonnay, although the soil and climate are just perfect for it. Today, Chardonnay is widely grown in Piemonte. Sourced from family-owned vineyards in Treiso (Il Bricco Estate), Serralunga d’Alba (Colombaro), and Trezzo Tinella (Bossania), it is 100% varietal. 75% of the must is fermented in stainless steel tanks, the remaining 25% in new French oak barriques. The wine rests on lees for five months before bottling. The wine is fresh, fruity, and spicy; rich and creamy, with extremely delicate hints of vanilla. A perfect wine to pour with risotto or pasta with pesto. Sicilian Grapes have really come into their own. International grapes are popular, but indigenous grapes are the stars, and Mount Etna is the most sought-after appellation. This lovely wine is a blend of 80% Carricante, 15% Catarratto, and 5% Minnella. 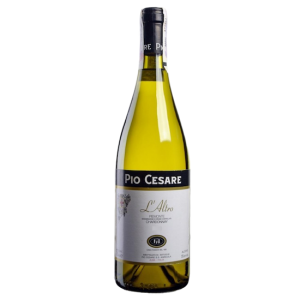 It is a fragrant white reminiscent of meadow flowers complemented by aromas of melon, Sicilian peaches, and lemon zest. It has a very crispy, very mineral-rich palate feel. This is a simply awesome wine. Friuli, where Italy meets Slovenia, is the country’s premier region for white varietals. Lis Neris is one of the region’s most revered producers. 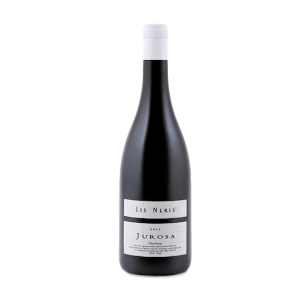 The single vineyard Jurosa Chardonnay is barrel-fermented; the wine sees 11 months sur-lie ageing in the same barrel with judicious stirring and no malolactic fermentation. This means the resulting wine is at once creamy, rich, complex, bright, and juicy. The term “Burgundian” gets thrown around a lot, but this wine is just that! Located in Panzano, on Chianti’s famed “Conca d’Oro” (with famous neighbour Fontodi”, Tenuta Vignole was purchased in 1970 by the Nistri family. The soils here are Galestro, the famed limestone that gives Sangiovese its greatest opportunity. Combine great soil with modern equipment and generations-held farming techniques, and you have the recipe for terrific Chianti Classico. 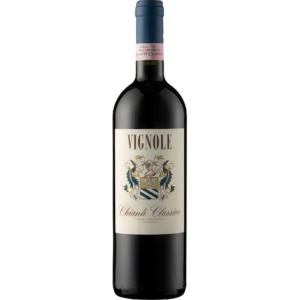 Vignole’s Chianti Classico presents remarkable value. Here, Sangiovese is softened by the addition of Merlot. The Conca d’Oro is truly “Under the Tuscan Sun”, and the ripeness levels are impressive. The result is a deep red wine with a lush nose of red fruit and violets. 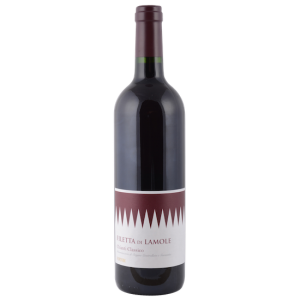 Supple and full-bodied in the palate, with well-integrated tannins, notes of dried and preserved fruit are lifted by layers of wild red berries. If you have ever been to the Castello di Volpaia in Radda, it is an unforgettable experience. An ancient walled hamlet incorporates the winery, restaurants, and a number of artisans and their shops. The wines produced here are of an elegant expression. If you grow grapes in vineyards at elevation, though day time temperatures are cool, the UV intensity forces the grapes to produce thick skins; that is where all the colour and flavour compounds are found. Voila! Age the wines in second- and third-fill oak barrels (as well as mature oak casks), and you end up with a food-friendly, gentle, beautiful wine. Nebbiolo is considered by many “The King of Grapes” in Italy. When vinified into Barolo, it has the structure to age for many decades, and to mature into an incomparable full-bodied wine reminiscent of roses, tar, and truffles. Most of us don’t have the patience for this kind of investment, and so winemakers will alter the fruit source, ageing, and sometimes even blend in lesser grapes (like Dolcetto and Barbera) to produce a wine that is called “Langhe”. This is the greater appellation in which Barolo and Barbaresco are located. The rules here are less stringent. Davide Rosso leads one of Italy’s up-and-coming great wineries. His Barolo Seralunga is a tremendous value, but this Langhe Nebbiolo is the one to buy to experience quality Nebbiolo at an “every day” price. A new and exciting wine in our portfolio is a single-vineyard Sangiovese from the high-altitude vineyards in Lamole. Fontodi needs no introduction: It is one of Tuscany’s greatest wineries. Lamole is a somewhat forgotten area of Chianti Classico located south of Greve, north of Radda. It is in fact so small that it is smaller than the entire Fontodi estate in Panzano. Giovanni Manetti, owner of Fontodi estate in Panzano, used cuttings from Lamole to propogate the vines at Fontodi. It is this genetic material that makes Fontodi’s wines so special. With a cousin’s help, he has restored the seven acre Filetta vineyard and bottled the 2014 as the first vintage. Composed entirely of Sangiovese fermented in concrete vats by indigenous yeast, the wine is aged in large oak vessels (as opposed to Fontodi’s more frequently-used French barriques). Lifted and bright, it is a wine grounded by earthiness and silky tannins. Truly elegant, with dark cherry on the nose and red fruit on the palate. Barbaresco and Barolo share many similarities: The same grape, often the same fermentation and ageing techniques, comparable mouthfeel, dryness, age-worthiness. Barbaresco, though, is the gentler of the two. Barolo often demands time in the cellar, while Barbaresco drinks far sooner, with more immediate perfume, more suppleness, more juiciness. 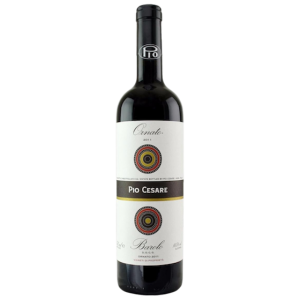 Pio Cesare’s is a gorgeous wine to enjoy now and for 15 to 20 years. Ornato is a single-vineyard Barolo of strict selection from three different plots of the family-owned Ornato estate in Serralunga d’Alba. The Ornato Estate is one of the top vineyards in all of Barolo. It is a straight-forward production method, given the quality of the fruit: Grapes are fermented in stainless steel with skin contact for 15 days to extract abundant flavour and colour, then aged in medium-toast French oak for 36 months, 70% in new barriques and 30% in 25 hectolitre casks.